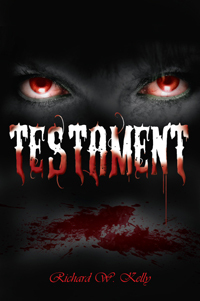 Richard W. Kelly’s “Testament.” There is a fine line between angel and demon. Thomas had a terrible life but then he was involved in a robbery where he was attacked by an unholy creature (vampire). Now, Thomas wanders the city searching for answers in a world of mystery as he discovers himself, his purpose, and his God. Previous Previous post: Today ONLY, receive $200 FREE Gift Card when you start publishing today! Next Next post: Cyber Monday Sale: Save $200 or More When You Start Publishing Today!